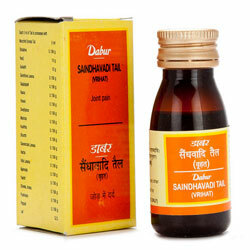 Buy Dabur Saindhavadi Tail (Vrihat) - Ayurvedic Treatment for Backache and other Arthritic Conditions. Dabur - General Health Product - Worldwide Shipping. Backache and other Arthritic Conditions.